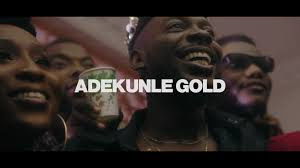 Adekunle Gold releases a new song and music video titled 'Ire' which translates to goodness in English. The singer shares his personal story and journey so far in a way that will leave you inspired. The song was produced by Seyikeyz, the video was directed by Aje and shot in various locations around Lagos, Nigeria, including Ajah, Ajegunle, Ikorodu and Ikoyi.